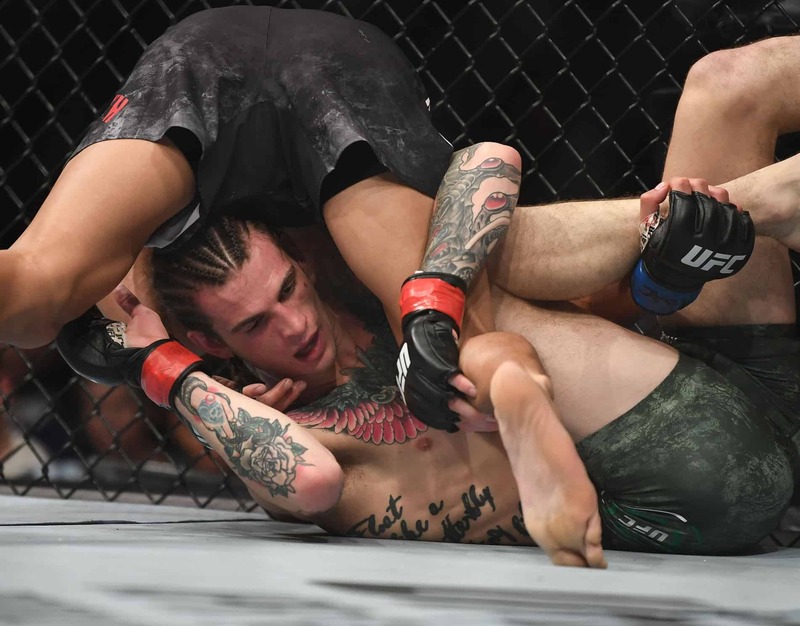 Surging bantamweight prospect Sean O’Malley was looking to truly burst into the MMA mainstream against Andre Soukhamthath at tonight’s (Sat., March 3, 2018) UFC 222 from the T-Mobile Arena in Las Vegas, Nevada, and for two rounds, he was doing exactly that. 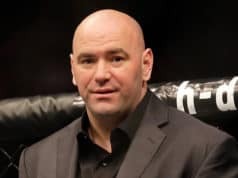 However, things changed in a big way in the third round when he threw a head kick and appeared to have badly injured his foot to the point he could no longer stand up. 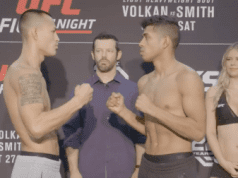 For some strange reason, Soukhamthath chose to wrestle him from that point on even though O’Malley easily could have been stopped if he had only chose to keep striking. So ultimately O’Malley secured a unanimous decision win to keep his hype alive, and after it, he gave his post-fight interview with Joe Rogan while laying on the mat having his leg put into an air cast so he could presumably be transported to the hospital for treatment.